“Fans from near and far gathered in what shade they could find from the glaring sun on Saturday afternoon to say goodbye to Peoria’s native son, Dan Fogelberg, a man whose music supplied the soundtrack to their lives. “A memorial two years in the making, the three granite boulders bearing the etchings of Fogelberg’s lyrics were unveiled to family, friends and fans in Riverfront Park at a vista overlooking the Peoria River. “Margaret Fogelberg, Dan’s mother who still resides in the East Bluff, said she finally felt closure after seeing the beautiful view and so many fans in attendance, close to 400. 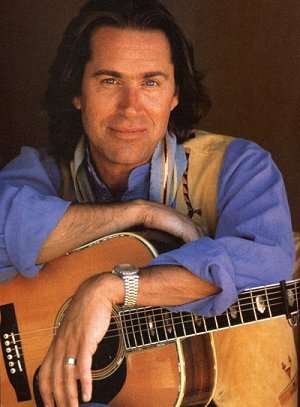 Fogelberg died from advanced prostate cancer on Dec. 16, 2007, at age 56. This entry was posted on August 31, 2010 by Friends of Fogelberg. It was filed under Uncategorized .